Business cycles sometimes make it difficult to predict your shipping needs. Caseworks understands your dilemma. That's why we will keep the wooden crates you frequently use in stock and at your fingertips. Our storage and warehousing facilities allow us to offer large volume production run crate manufacturing services that make sense! 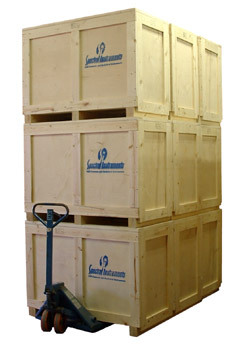 Production run wooden crates with competitive pricing and sharp lead times are a staple of our business. Our ongoing desire to help our clients achieve a transparent and seamless supply chain has proven essential to many companies, agencies and organizations. Production run wooden crates are great for shipping fast moving merchandise that maintains standard weights and measures.